The Life of Pi is the fable of a young Tamil boy by the name of Piscine Molitor Patel (or, “Pi”, for short). He recounts his life as an old man to journalist Yann Martel, about his youthful days spent in the city of Pondicherry, with an inner conflict centred on religion and spirituality. The scene then shifts out to sea when a boat carrying the boy and his family, along with hundreds of animals, capsizes. 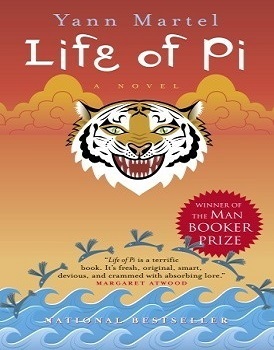 Pi is then left stranded in the Pacific Ocean with a Bengal tiger named Richard Parker. The story is largely about faith in God and the struggle to survive against all odds. Disapproval of the book is mainly directed at its slow pace and excessive descriptions of the zoo environment. It also features themes on religion that may be disproportionate to those with sensitive issues related to the topic. Will approve you but make sure no spam next time.